Within its approximately 2,200 acres (900 hectares), Sutton Park offers a rich diversity of habitats, including extensive areas of dry heath, low-lying bog, mature mixed woodland and several lakes and ponds. These habitats are home to plants and animals of many kinds, some now rare or unknown elsewhere in the surrounding region. Visitors sometimes believe that Sutton Park represents "wild nature". In reality, the park has a very long history of human use, dating back to Roman times and earlier. In the reign of Henry VIII, its upkeep was entrusted to a body called 'The Warden and Society'. All the pools in the park are entirely artificial. The major plots of oak woodland had ditches and fences around them to control deer. Much of the original birch woodland was regularly coppiced. 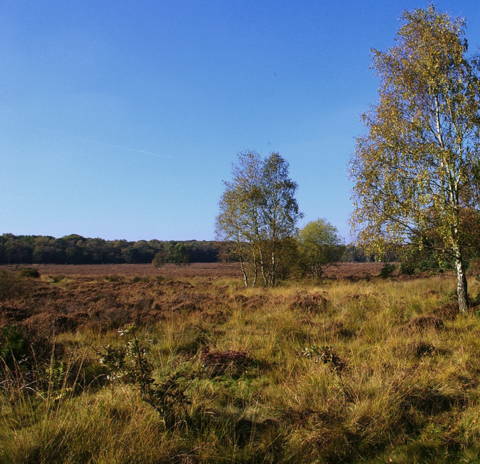 The open heathland was maintained by commoners using the grazing for their animals, including sheep, cattle and donkeys. In the 21st century, people no longer use the park in the same way. Keeping the diversity of habitats, both for the enjoyment of visitors and to support a wide range of animals and plants, means that active intervention is needed to replace the more spontaneous activities of the past. This intervention is based on carefully designed management and conservation measures, set out in a management plan agreed between Natural England and Birmingham City Council. 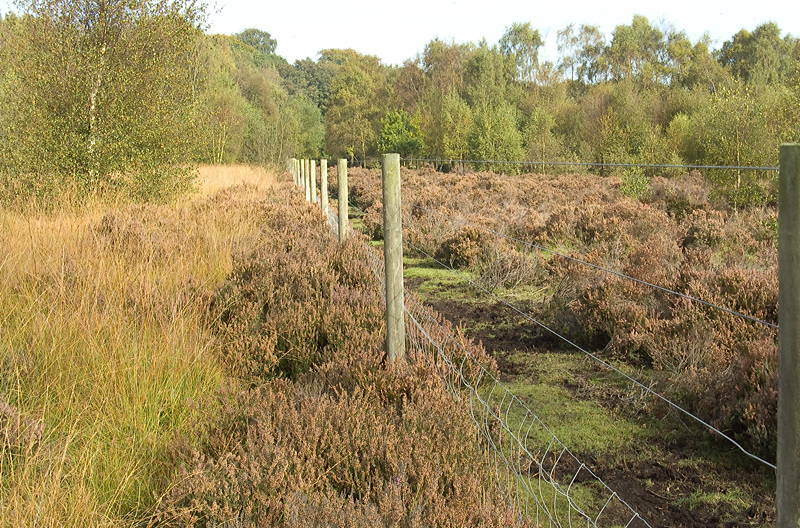 The park contains some of the finest surviving examples of lowland heath in the West Midlands region, and its maintenance presents many different challenges. A major concern of management is that the public should be encouraged to be aware of and care for the heathland environment. It is ideal walking country, due to its accessibility and visual appeal. However, people are asked to avoid disturbing the wildlife, particularly ground-nesting birds. 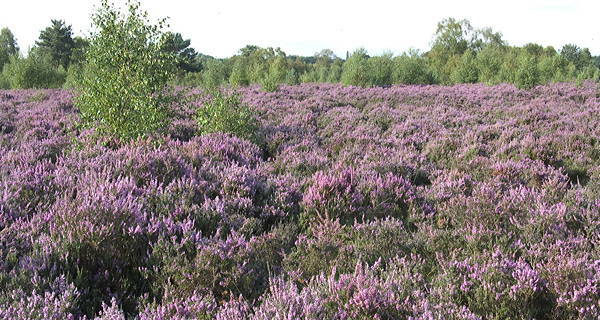 Heathers and other heathland plants have to be protected from attempted takeovers by more prolific species. Foremost among these are birches, which threaten to turn the area into woodland. The wet heathlands bordering the marshes are also threatened by Alder and willow growth. If unchecked, these will cause drying out and eventual colonization by woodland plants and trees, resulting in the loss of the heathland habitat. These aligned images show the growth of trees in the Longmoor Valley and along the Longmoor Stream in the last 11 years. Under the guidance of the Ranger Service and with support from Government agencies such as Natural England, much good work is done to try to maintain the open character of the park's heathland. However, success is by no means guaranteed. 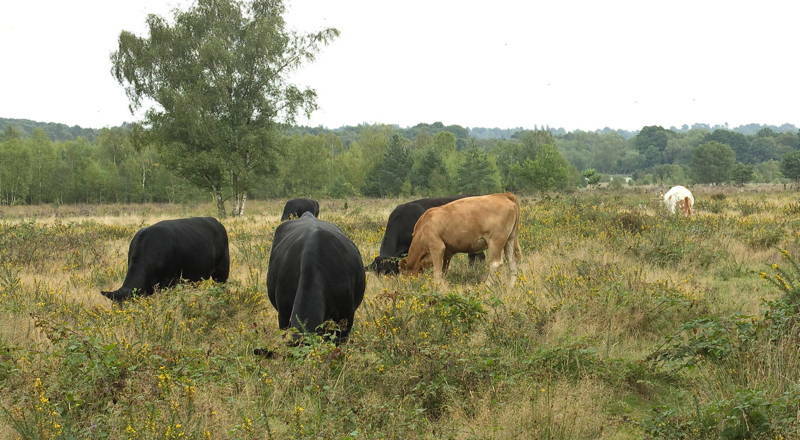 Cattle grazing has long been a feature of the park and has been a vital part of maintaining the heathland and grassland. Medieval deer parks generally provided pasture for cattle and sheep as well as supporting deer. 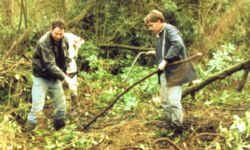 As just one example of the evidence for cattle grazing, in 1795 the Warden and Society (the 'governing body' of the park) are recorded as taking steps to protect the woodlands from cattle. In winter, one source of cattle food was branches of holly, cut from high up the trees where the leaves lack spines. In recent years it has been very difficult to find the desired 250 head of cattle to provide adequate grazing. Farmers in the surrounding area simply do not keep beef cattle any more. The park is now divided: the area south of the railway line is grazed by cattle in the summer; the area north of the railway line is grazed all year round by Exmoor Ponies (see below). There is no doubt that cattle grazing does help to keep open areas in the park. However, their impact on birch regrowth is limited. As noted above, it had become increasingly difficult to sustain the desired level of cattle grazing. Various alternatives were considered. 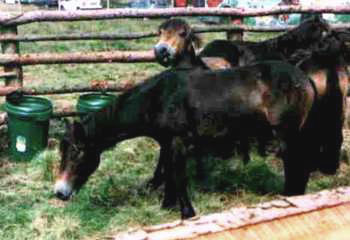 Exmoor ponies were chosen after alternatives of sheep, deer, donkeys and horses were ruled out from previous experiences in the park. They were first introduced to Sutton Park in July 1999 in an effort to maintain a heath and acid grassland habitat in the Bracebridge area, protecting it from birch and woodland encroachment. In other Exmoor pony trials, not only has the plant species composition been maintained, but birds (such as the nightjar on Skipwith Common, Yorkshire) and butterflies (such as the High Brown fritillary in Silverdale, Cumbria) have also benefitted. 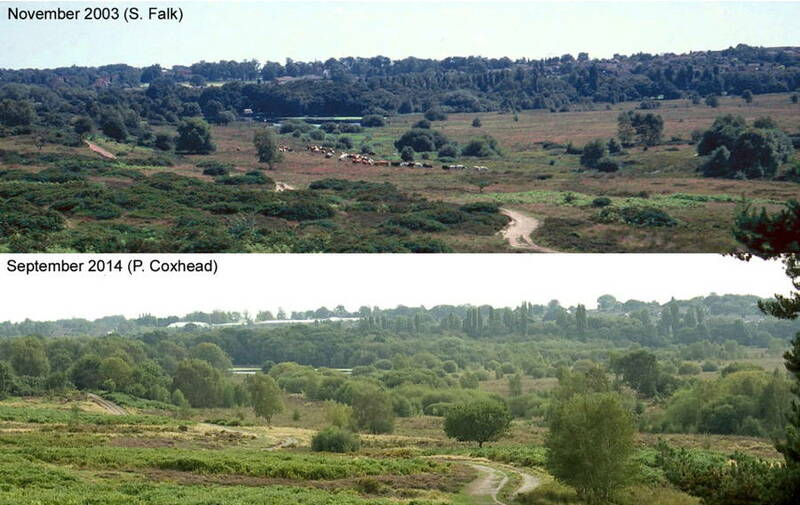 'Before and after' effects have been and continue to be monitored in Sutton Park. The ponies now graze the area north of the railway line. Exmoor ponies are both robust and have a strong aesthetic appeal. They are an 'endangered species' on the Rare Breeds Survival Trust list and in 1990 only 777 existed world-wide. The ponies are more efficient than cattle for grazing as they feed closer to the ground and for longer periods daily. They are selective grazers and prefer leafy vegetation, avoiding wildflowers, including orchid spikes. They remain in good condition even on low quality winter forage, assuring the public of their welfare – unlike New Forest ponies which may thin down considerably. An 80 acre (32 hectare) fenced enclosure was prepared beginning in April 1999. The fencing is 1.5 m high, 3-strand post and wire with stock netting, and includes access gates for pedestrians and a corral for the routine treatment of the ponies. Clearance of vegetation before fencing was carried out by estate staff and conservation groups. Costs for the initial purchase of ponies and the erection of fencing was provided by the 1998 proceeds of the charging scheme for cars entering the park (75%) and by English Nature (now Natural England) (25%). Arrangements are in place for regular checks and for any emergency, should it arise. As far as the general public are concerned, the ponies are relatively shy and non-aggressive. As they are wild, they will not come too close to people. This is an advantage in preventing the public from feeding and 'playing' with them, but makes rounding up and handling by staff more difficult. Posters with information about the scheme are placed at the access gates to the enclosure and there is a display board in the Visitor Centre. Five fillies were brought from Exmoor in June 1999. In November 1999, three mares were introduced to the enclosure. All of the ponies settled in well, and during April and May, all three mares gave birth to foals. The scheme has been extended to cover almost the entire area north of the railway line, with financial contributions from English Nature (now Natural England) and Birmingham City Council. The herd size has been increased, with careful monitoring to ensure the right level of grazing. In 2014, there were 32 ponies. The impact of the pony grazing can be clearly seen in the photograph above – they are able to graze to the right of the fence and where they can reach through it. The ponies promote heather by reducing the growth of coarse grass, but do not seem to affect birch invasion which, if anything, may be more extensive where they have access. The (FOSPA), was founded in 1950 in response to suggestions at the time that parts of Sutton Park could be made available for building on. Today, as a National Nature Reserve, the future for Sutton Park has probably never been safer. 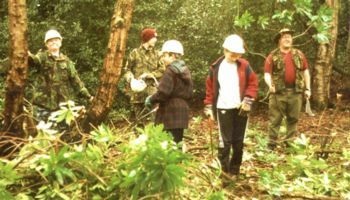 FOSPA, now affiliated to The British Trust for Conservation Volunteers, concentrate their resources on funding voluntary conservation projects in Sutton Park. For further information on FOSPA conservation work, see the and look for the "Conservation Team". Harvey Skelcher, 31 Aug 1954 – 24 Feb 2011: tireless worker for the conservation and preservation of Sutton Park.